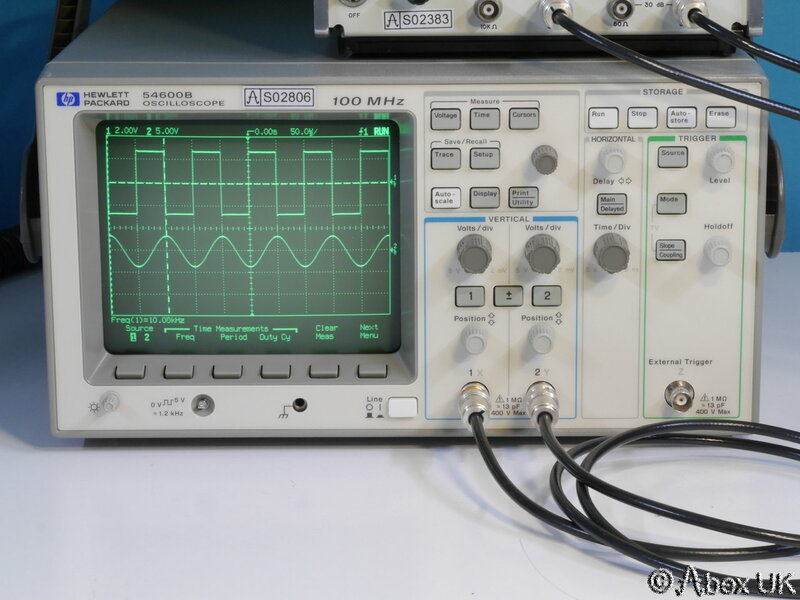 The HP 54600B is an "entry level" dual channel 100MHz Digital Oscilloscope which is extremely simple to operate, small and light. 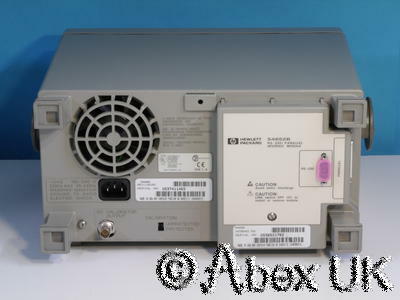 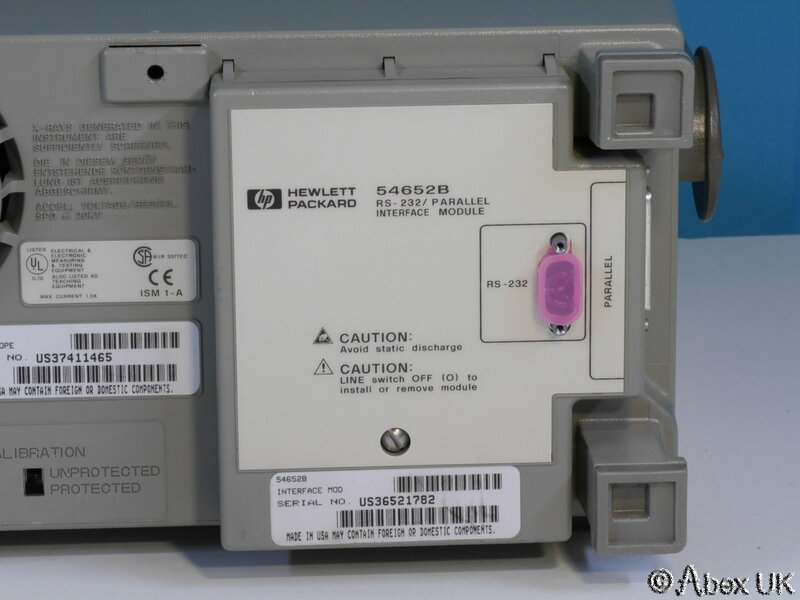 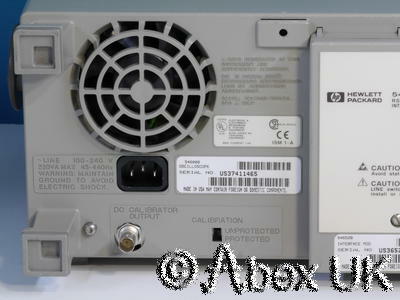 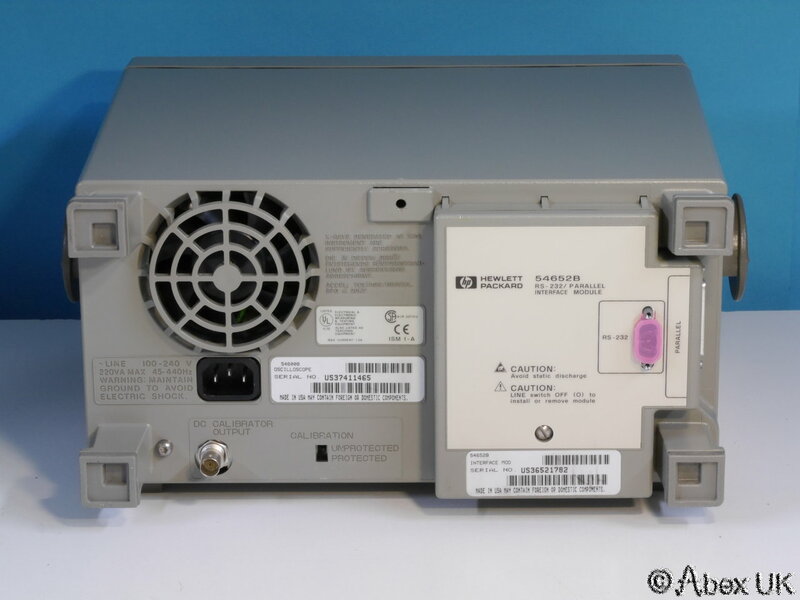 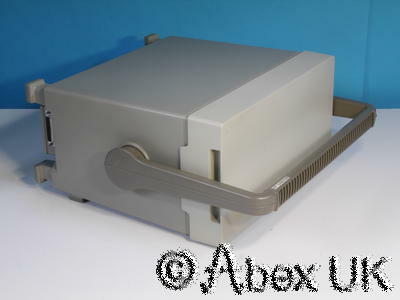 The optional RS232 unit is fitted, providing serial and parallel interfaces. 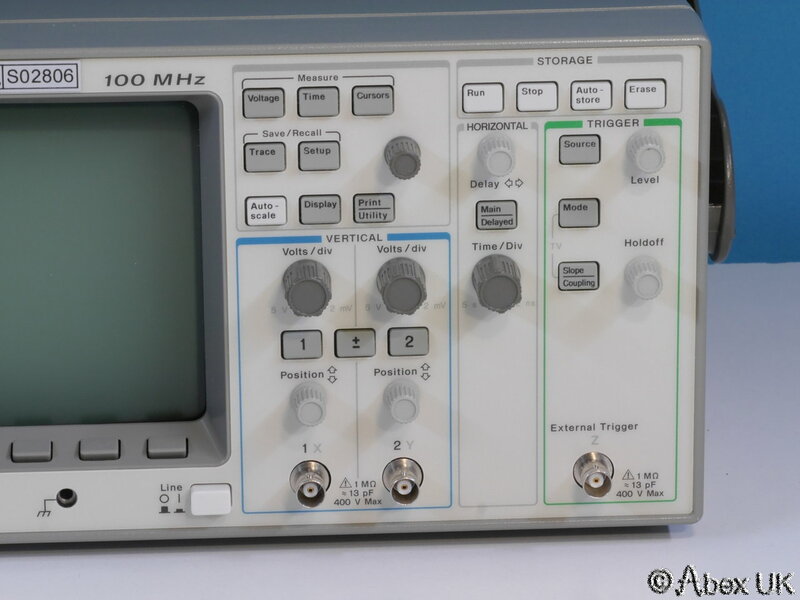 On screen cursors and measurement functions, pretriggering etc. 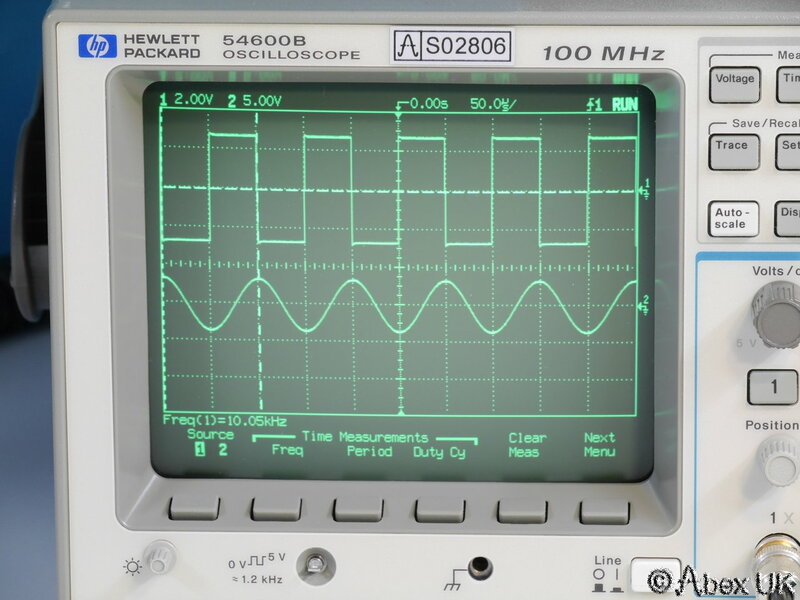 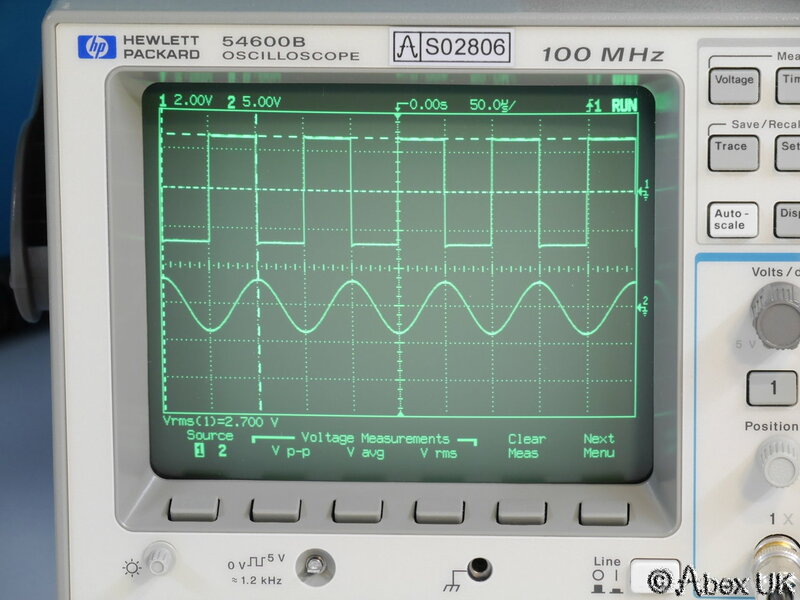 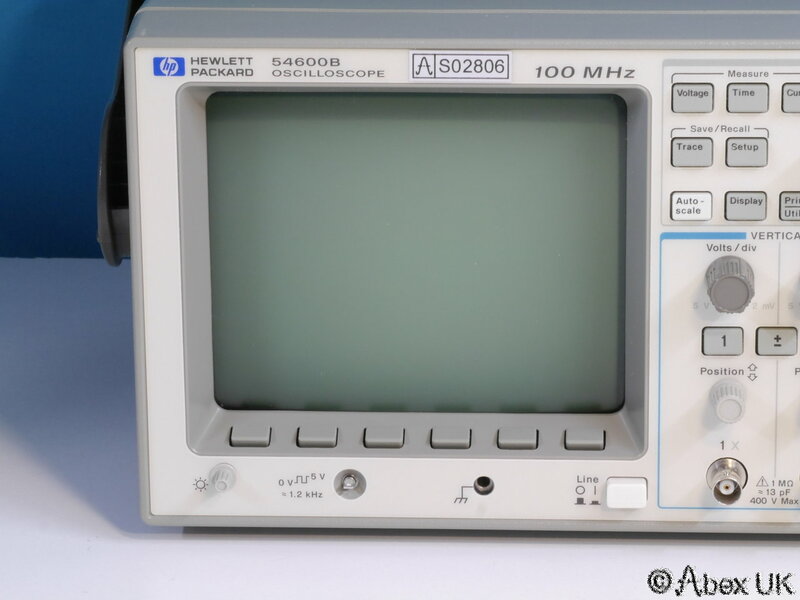 A very nice oscilloscope. 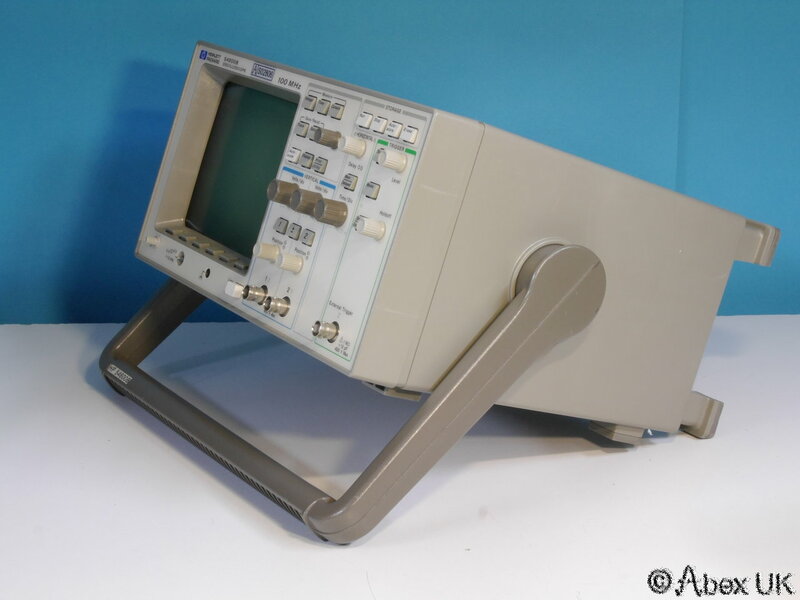 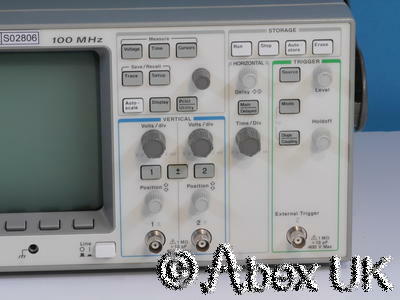 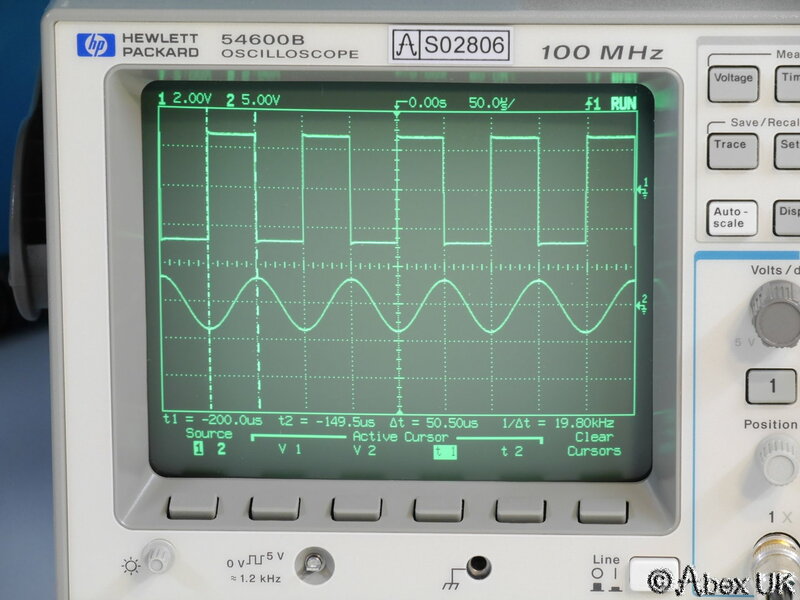 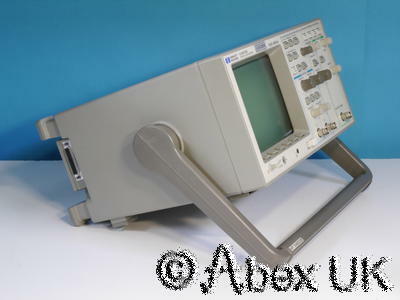 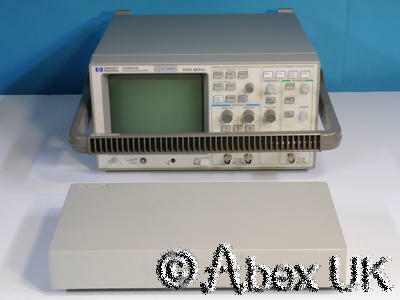 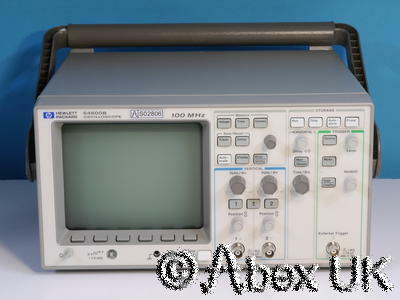 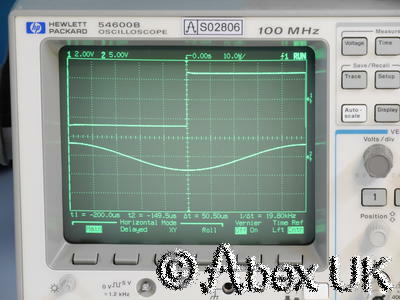 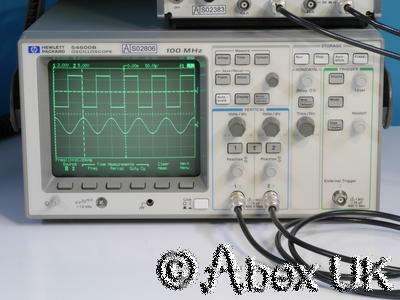 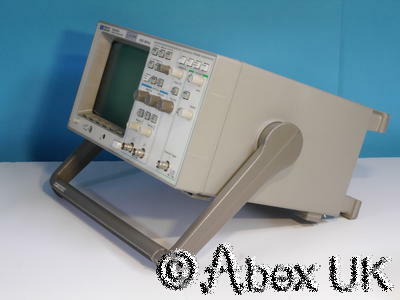 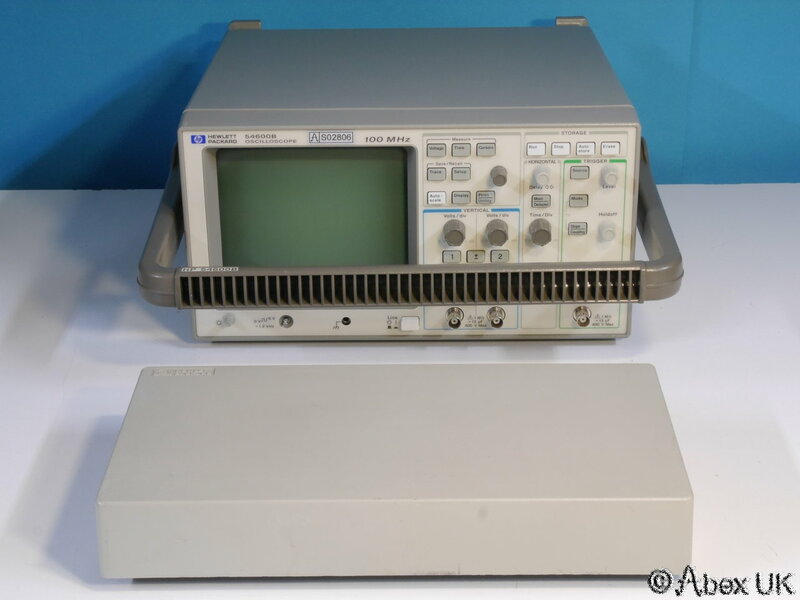 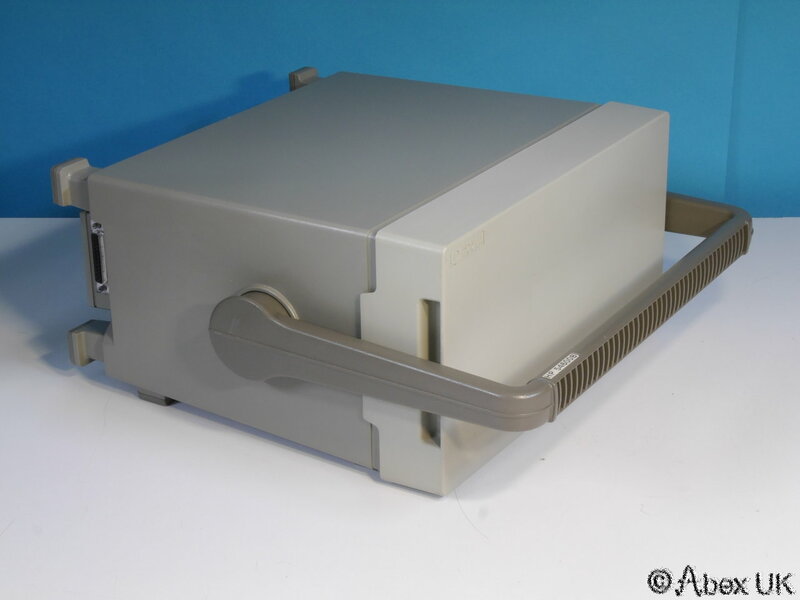 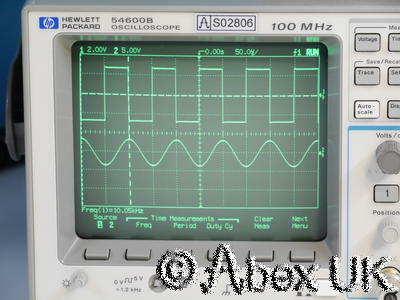 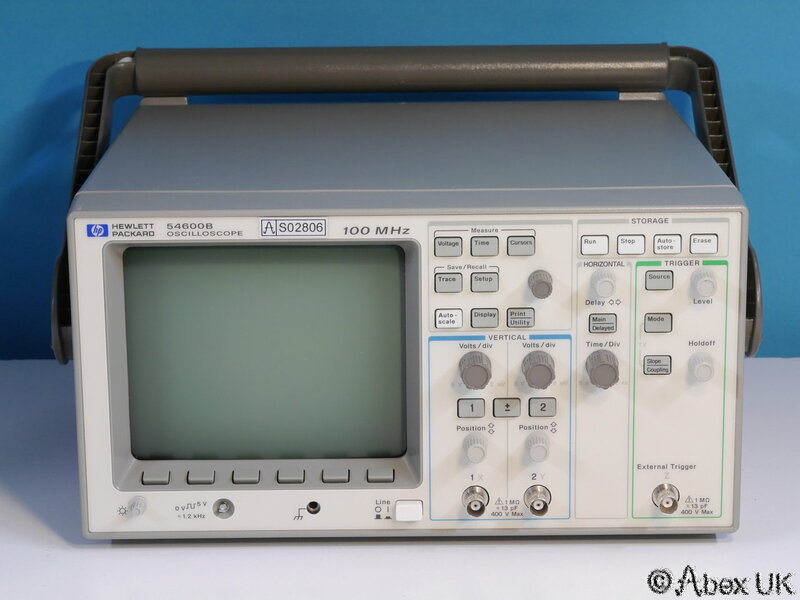 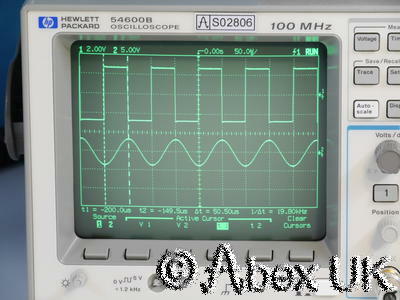 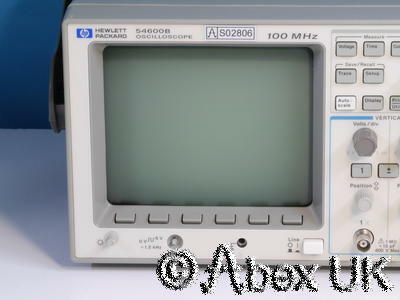 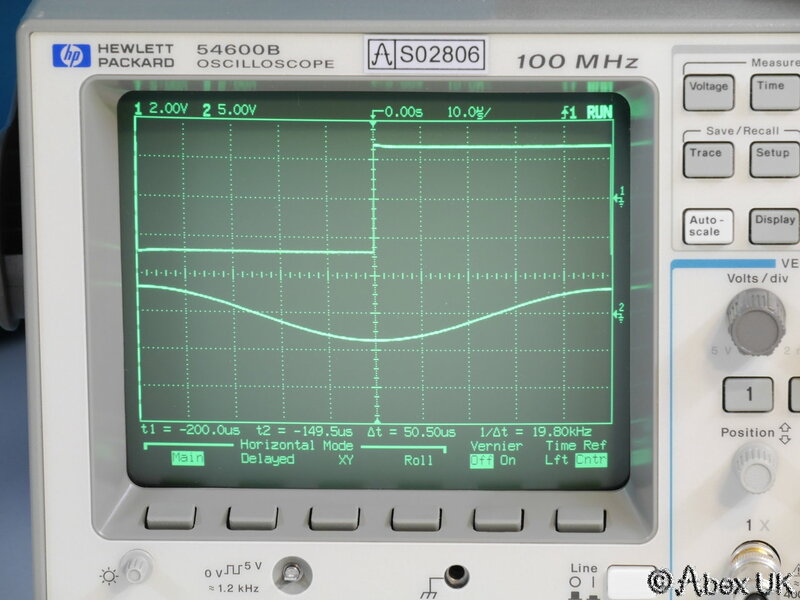 This oscilloscope is in excellent cosmetic condition and fully working.